Digimon Adventure -Tri- Second OVA is coming tomorrow! 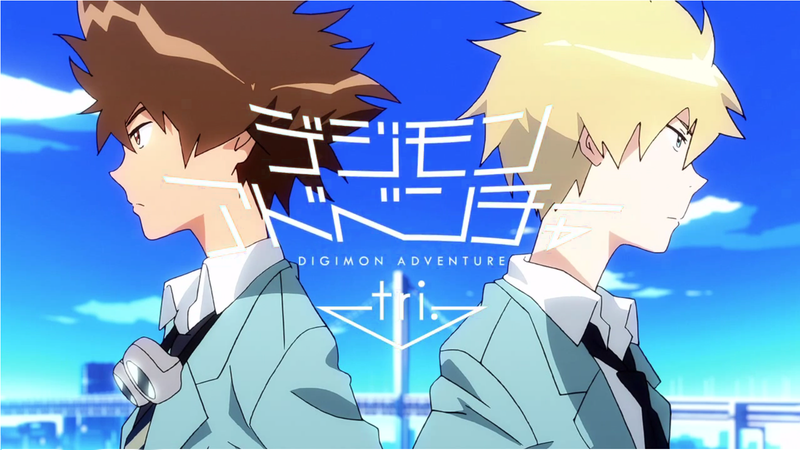 Crunchyroll has announced that the Second OVA of Digimon Adventure -Tri- is coming tomorrow a 8:00 AM Centrail Time. The OVA will be divided in “Chapters” like the past time and it will be available on the next territories: United States, Canada, South Africa, Australia, New Zealand, Latin America, Albania, Algeria, Armenia, Azerbaijan, Bahrain, Belarus, Bosnia and Herzegovina, Bulgaria, Croatia, Cyprus, Czech Republic, Denmark, Djibouti, Egypt, Estonia, Finland, Georgia, Hungary, Iceland, Iran, Iraq, Israel, Jordan, Kuwait, Kazakhstan, Latvia, Lebanon, Libya, Liechtenstein, Lithuania, Macedonia, Malta, Mauritania, Moldova, Montenegro, Morocco, Netherlands, Norway, Northern Cyprus, Oman, Palestine, Poland, Qatar, Romania, Russia, Saudi Arabia, Serbia, Slovakia, Slovenia, Somalia, Spain, Sudan, Sweden, Syria, Tunisia, Turkey, Ukraine, United Arab Emirates, Western Sahara, and Yemen.